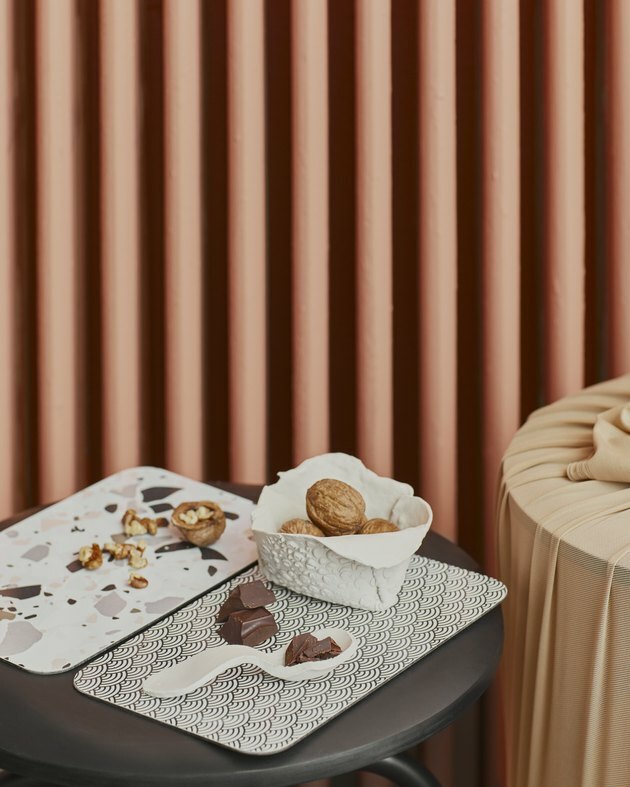 It's no secret that Ikea has been branching out as of late, and we find in the best way possible with its August new arrivals. How do we say this ... they just look less mass produced. 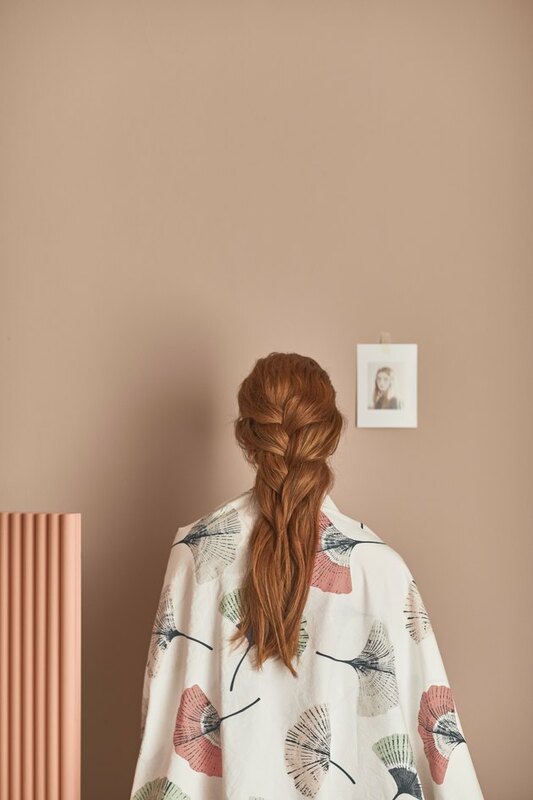 Obviously everyone and their mom will be purchasing them, as with all Ikea items, but they still manage to feel special — like indie boutique finds. More of this, please! 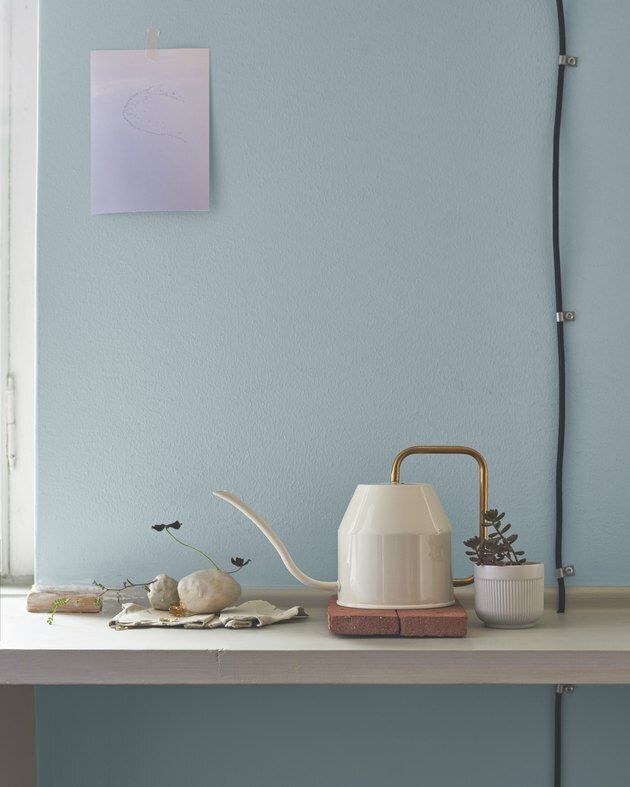 We're noticing a lot of pastels, but still within the (luckily for Ikea) on-trend Scandinavian look. Wellness, calm, escape — they're all buzzwords that are captured in these pieces. Glaring colors and harsh angles are omitted in favor of softness. Below, our favorites, and come August check both Ikea.com and stores to add them to your cart. The Vattenkrasse watering can is not only functional, but also a decorative piece in its own right. 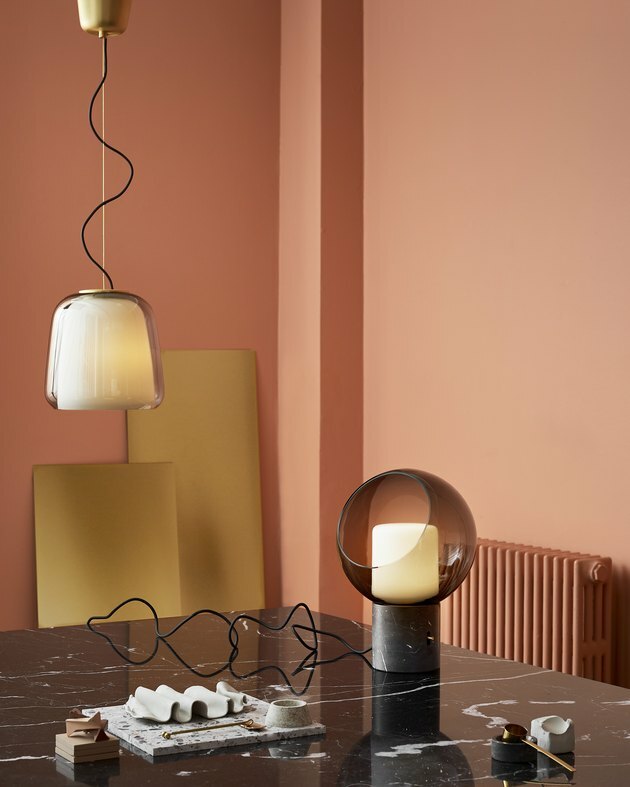 The Evedal table lamp is a statement piece made of glass and marble — fancy, fancy. 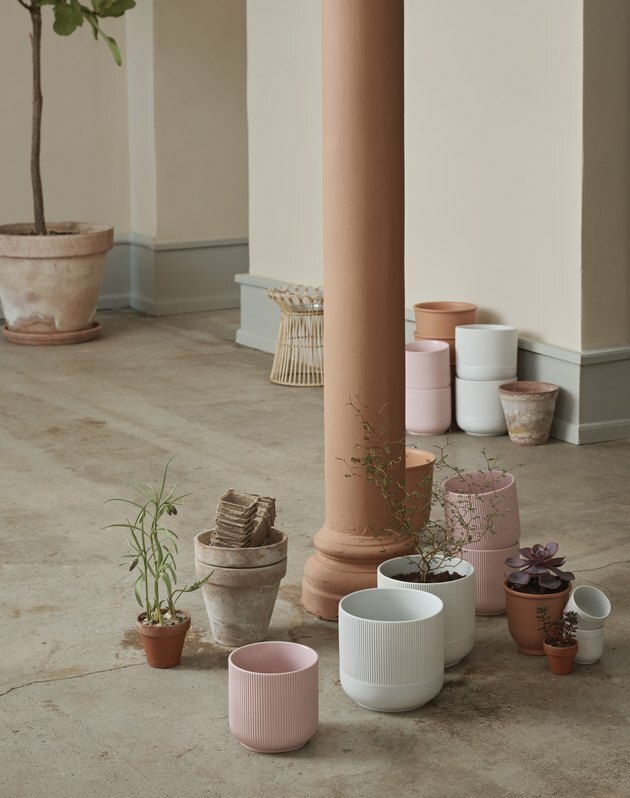 And the Gradvis ribbed plant pots are a pastel dream. New shades of the Landskrona furniture series — light green, dark gray, and golden-brown leather — invite you to step back to the 1960s. Trays decked out in on-trend patterns like terrazzo are a welcome surprise. 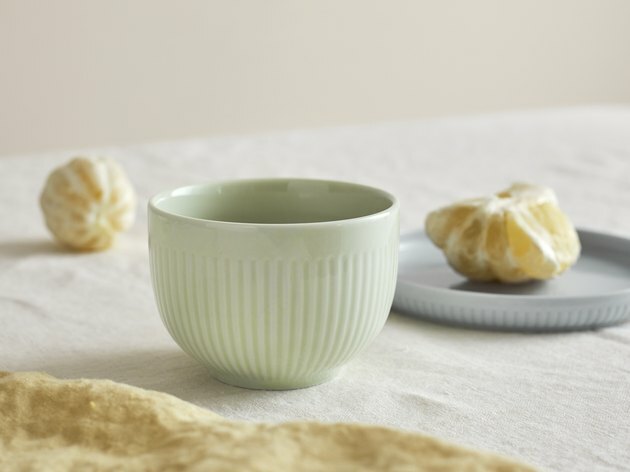 The Morgonte plate and bowl sets are perfectly pastel. They come in either gray, blue, or green in a set of two differently shaped bowls and one plate. 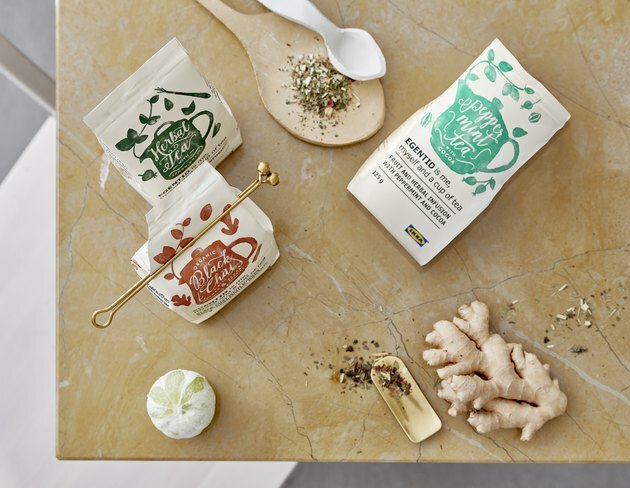 And loose tea is on Ikea's agenda now, too. The new flavors are peppermint with cocoa, black chai ginger with elderberries, and an herbal tea with lemongrass. 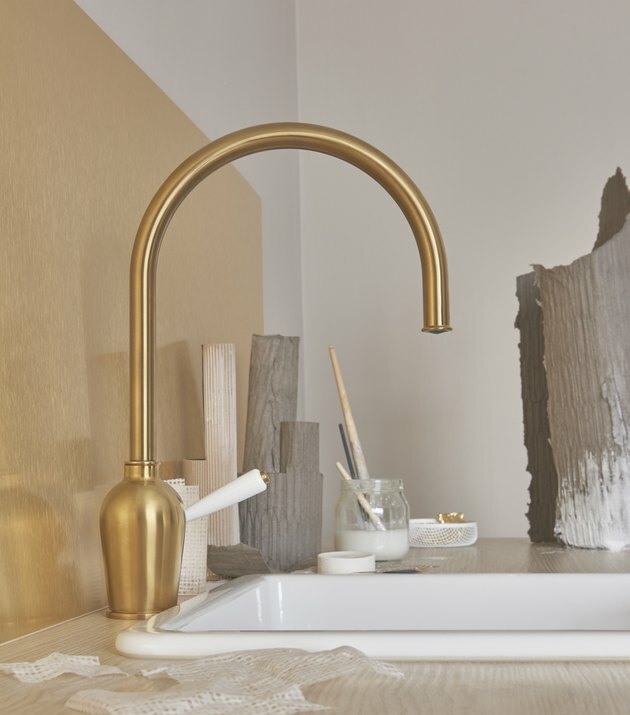 Next, can we just take a moment to appreciate the brass Insjön faucet with its dainty porcelain handle? 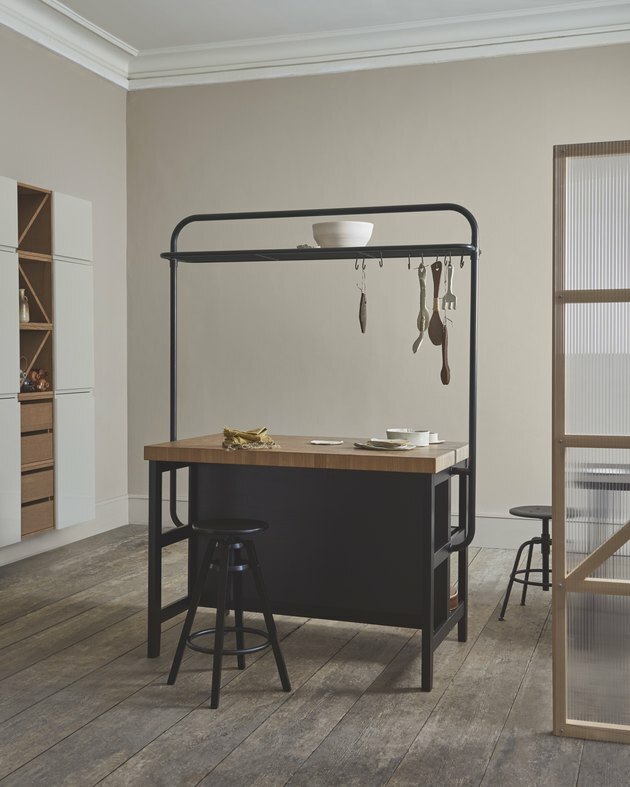 And studio apartment-dwellers listen up: The Valdholma kitchen island with a rack is the counter-space lifesaver you need. West Elm ... is that you? The Bestå Vassviken storage combination looks like it holds a much higher price tag than $210. 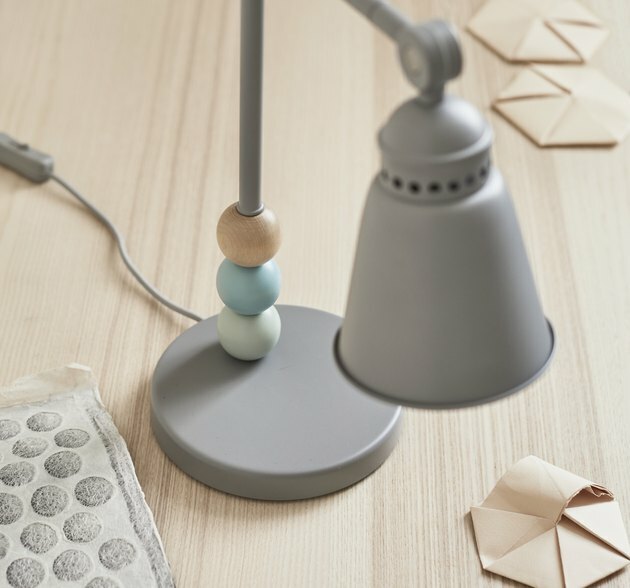 The Lantlig children's lamps are colorful without being tacky. And how pretty are the new Tovsippa duvet covers? They come in both white and green color ways. We feel that their print looks especially high end (yet check out that price tag!). 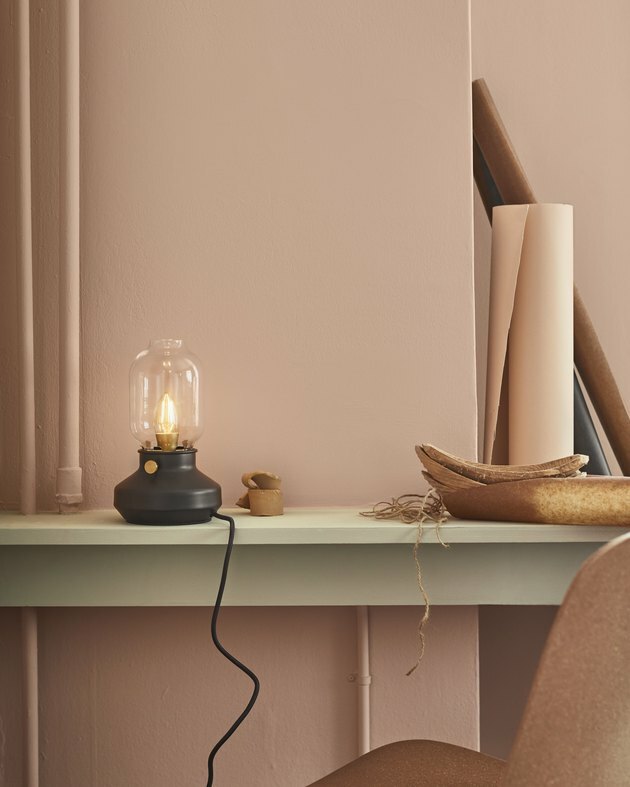 This table lamp was inspired by old-fashioned kerosene lamps. You know, it invites you to slow down a little. 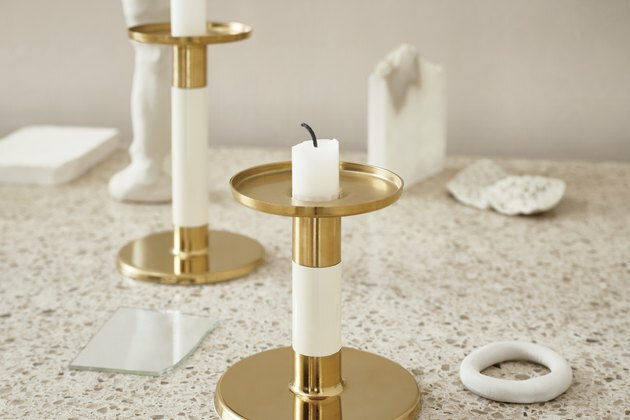 And finally, the Glittrig candlesticks are ivory and gold stunners you'll want to plop just about everywhere.